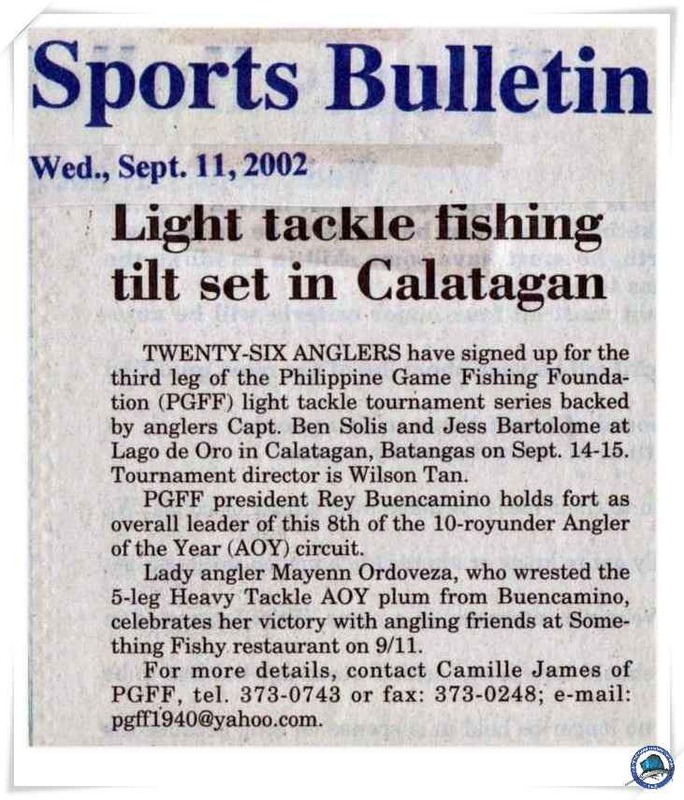 PGFF light tackle fishing returns to Calatagan on Oct. 12-13. 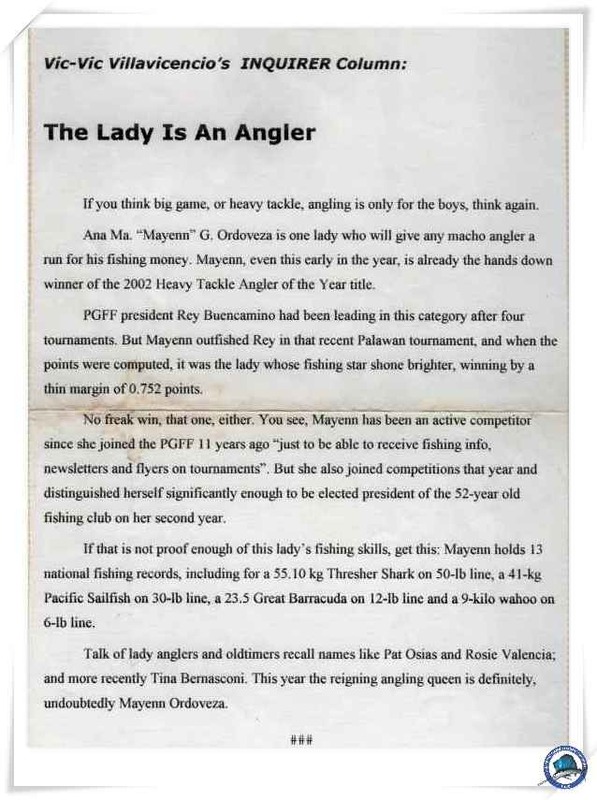 The Golden Maple Manufacturing and American Technologies, Inc. light tackle fishing tournament, backed by anglers Willie Yap and Boy Co, heats up the penultimate round of the Philippine Game Fishing Foundation (PGFF) Angler of the Year (AOY) derby on Oct. 12-13 at Lago de Oro in Calatagan, Batangas. 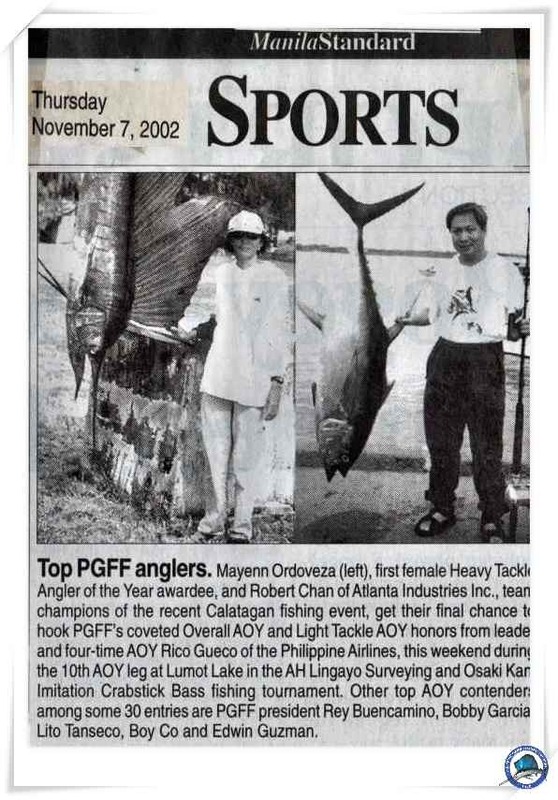 Four-time AOY Rico Gueco shades by a thin margin two-time AOY and PGFF president Rey Buencamino for the current overall AOY lead while teammates Boy Co and Edwin Guzman share the light tackle AOY banner. 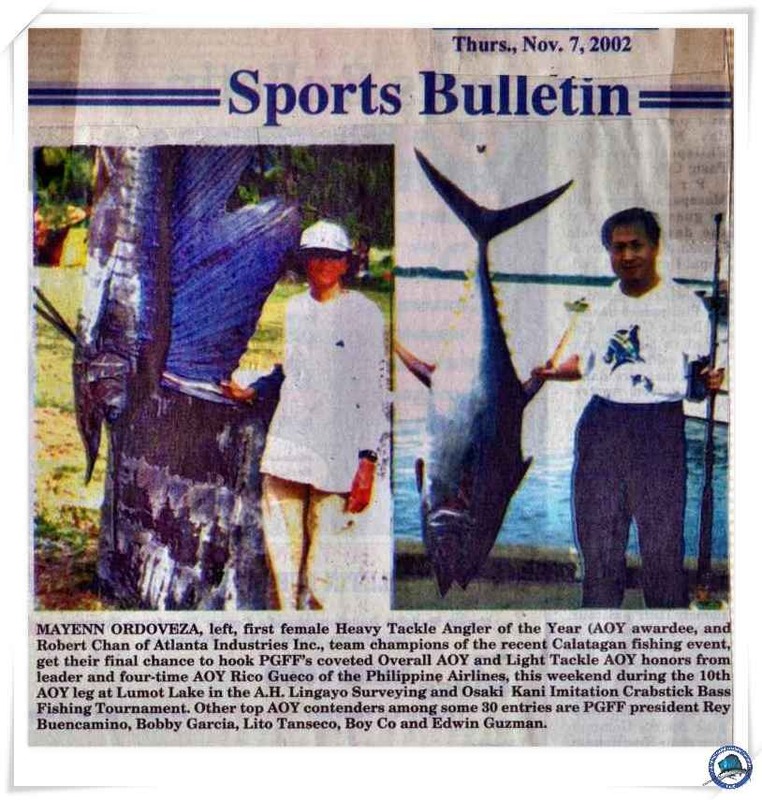 Others vying for tournament honors include 2002 Heavy Tackle AOY Mayenn Ordoveza, Robert Chan, Efren Chua Yao, Charlie Yap, Judes Echauz, Tina Bernasconi, Bert Lingayo, Jimmy Briones, Lito Transeco, Ferdie Layson, Crispin Saez, Benedict Lim, Danny Olanosa, Jimmy Flores, Wilson Tan, Amado Dy, Willie Yap, Cholo Santos, Bobby Garcia, Bengy Toda and Willie Yap. 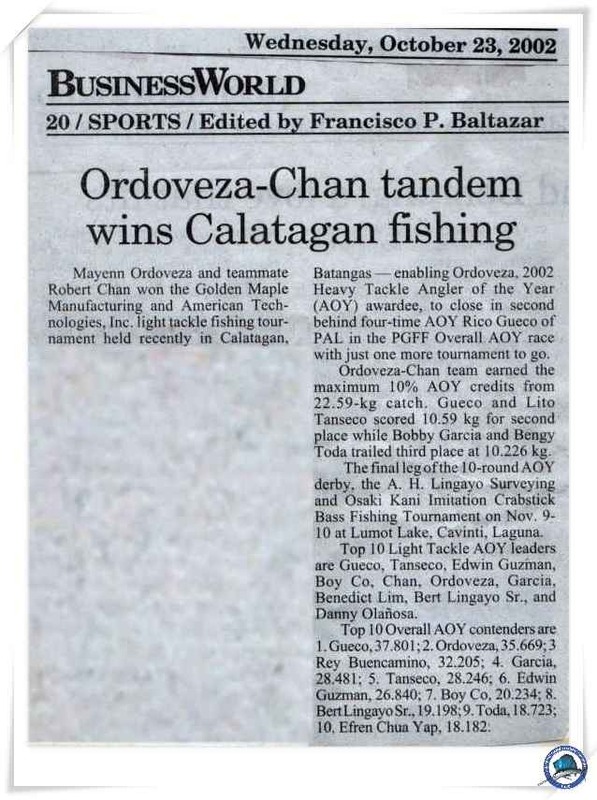 Ordoveza-Chan tandem wins Calatagan fishing. 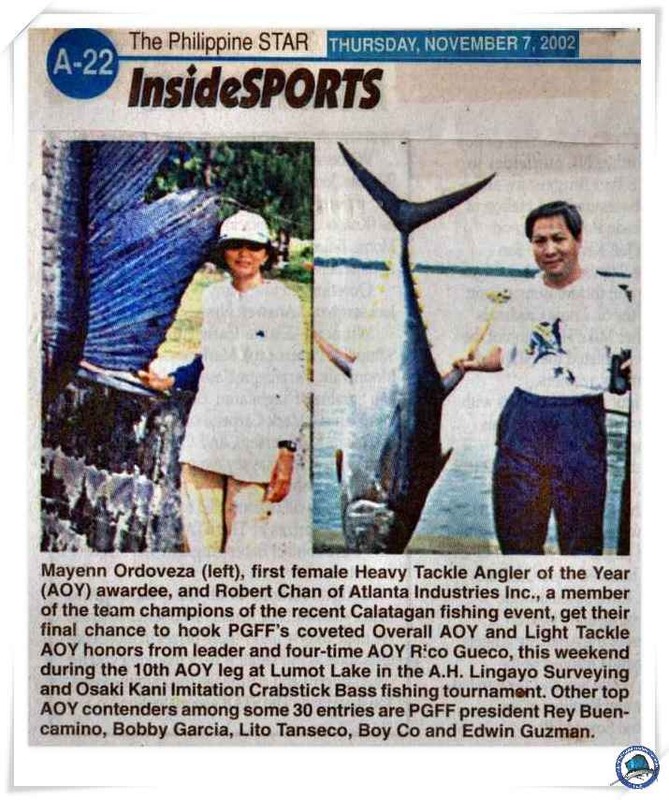 Mayenn Ordoveza and teammate Robert Chan won the Golden Maple Manufacturing and American Technologies, Inc. light tackle fishing tournament held recently in Calatagan, Batangas - enabling Ordoveza, 2002 Heavy Tackle Angler of the Year (AOY) awardee, to close in second behind four-time AOY Rico Gueco of PAL in the PGFF Overall AOY race with just one more tournament to go. 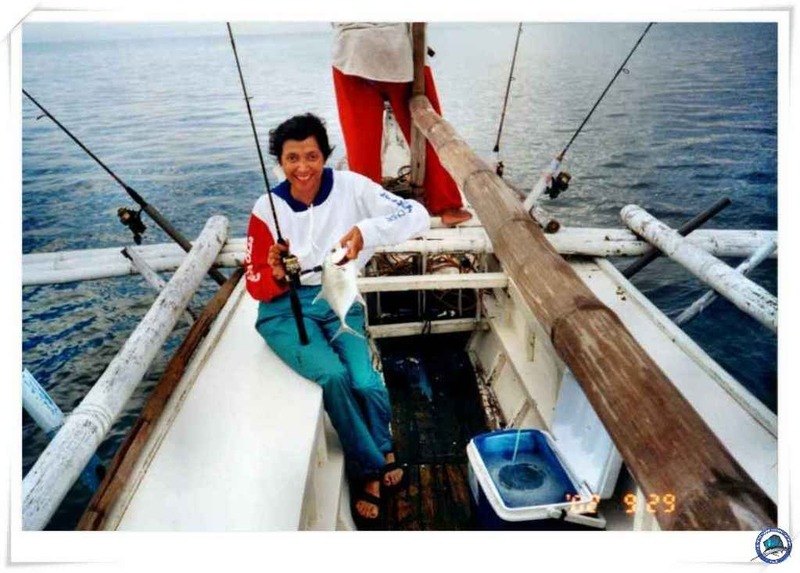 Ordoveza-Chan team earned the maximum 10% AOY credits from 22.59-kg catch. 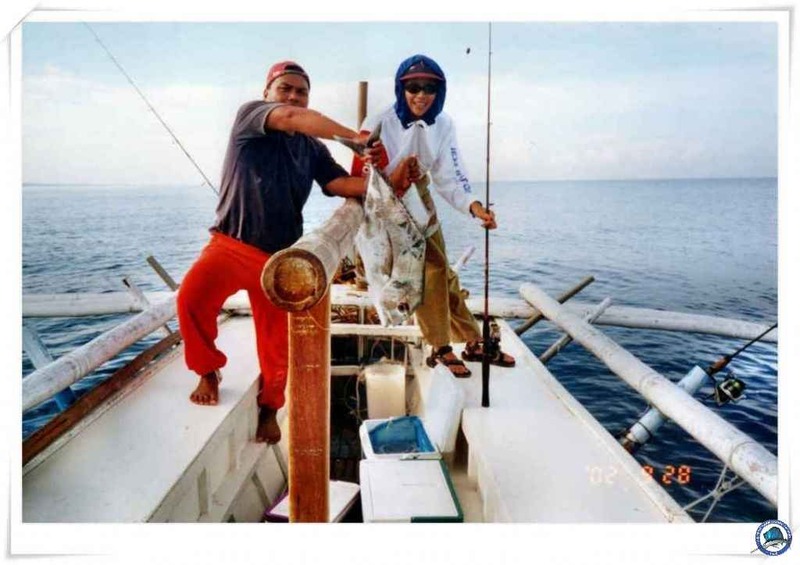 Gueco and Lito Tanseco scored 10.59 kg for second place while Bobby Garcia and Bengy Toda trailed third place at 10.226 kg. 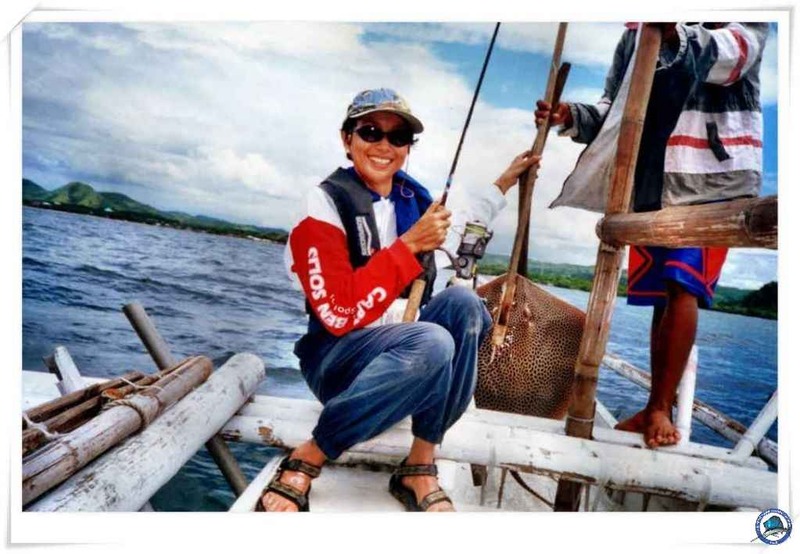 The final leg of the 10-round AOY derby, the A. H. Lingayo Surveying and Osaki Kani Imitation Crabstick Bass Fishing Tournament on Nov. 9-10 at Lumot Lake, Cavinti, Laguna. 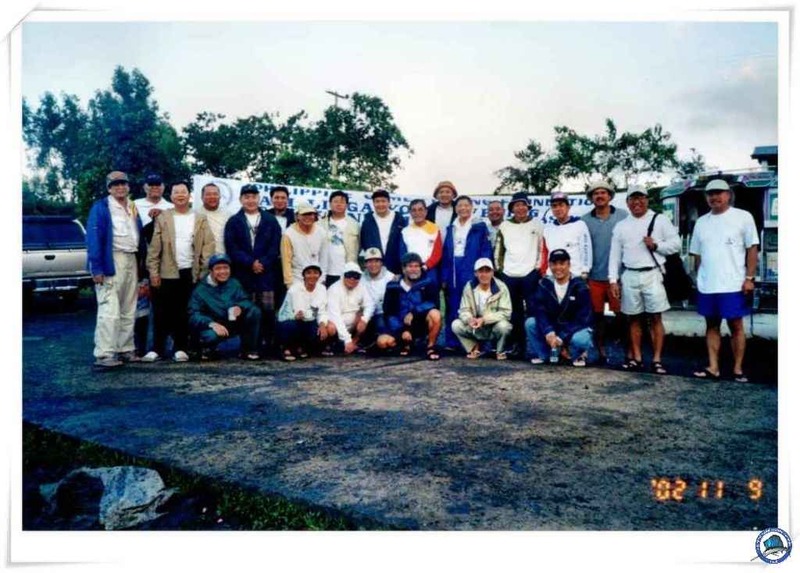 Top 10 Light Tackle AOY leaders are Gueco, Tanseco, Edwin Guzman, Boy Co, Chan, Ordoveza, Garcia, Benedict Lim, Bert Lingayo Sr., and Danny Olanosa. Top 10 Overall AOY contenders are 1. Gueco, 37.801; 2. 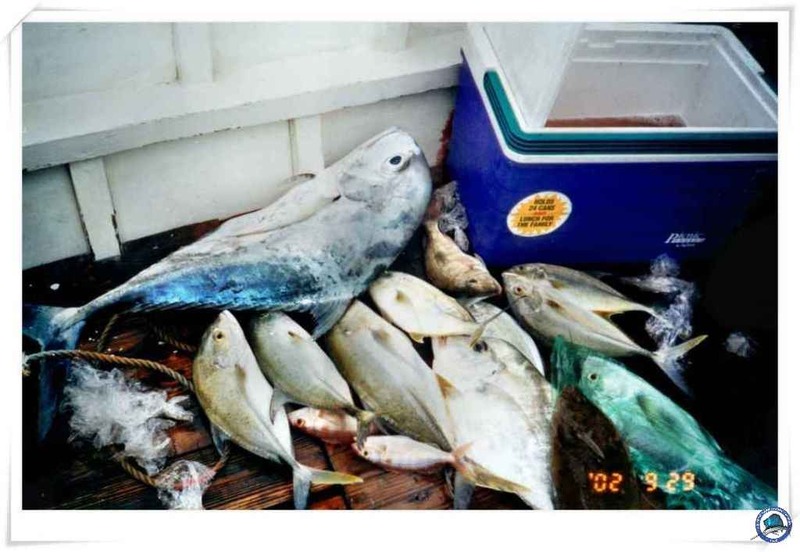 Ordoveza, 35.669; 3 Rey Buencamino, 32.205; 4. Garcia, 28.481; 5. Tanseco, 28.246; 6. 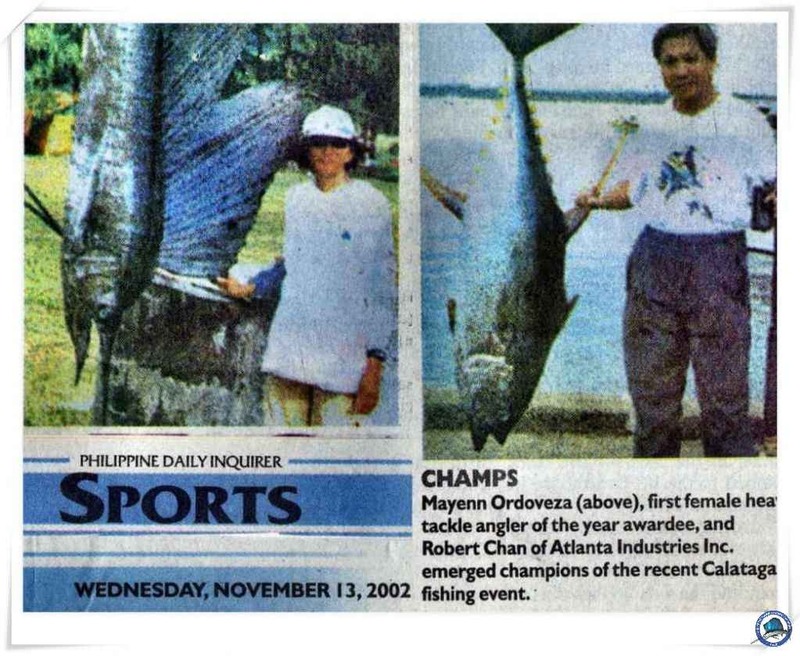 Edwin Guzman, 26.840; 7. Boy Co, 20.234; 8. 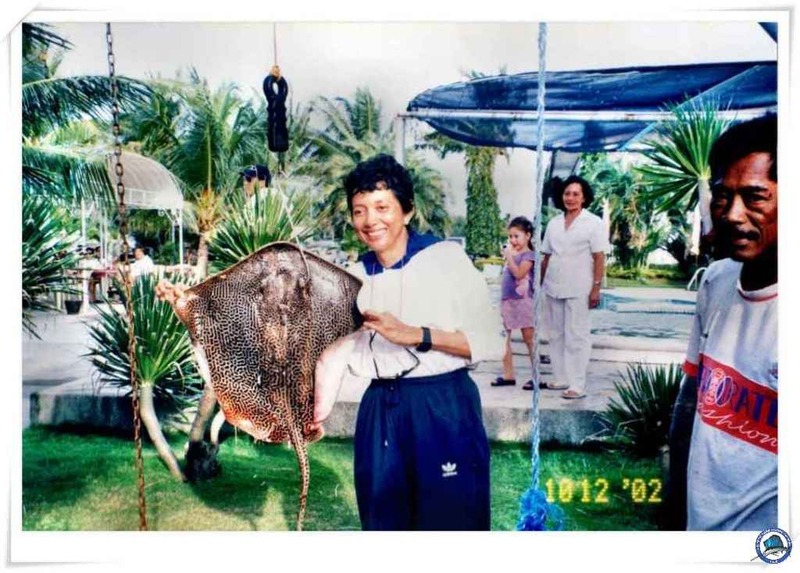 Bert Lingayo Sr., 19.198; 9. 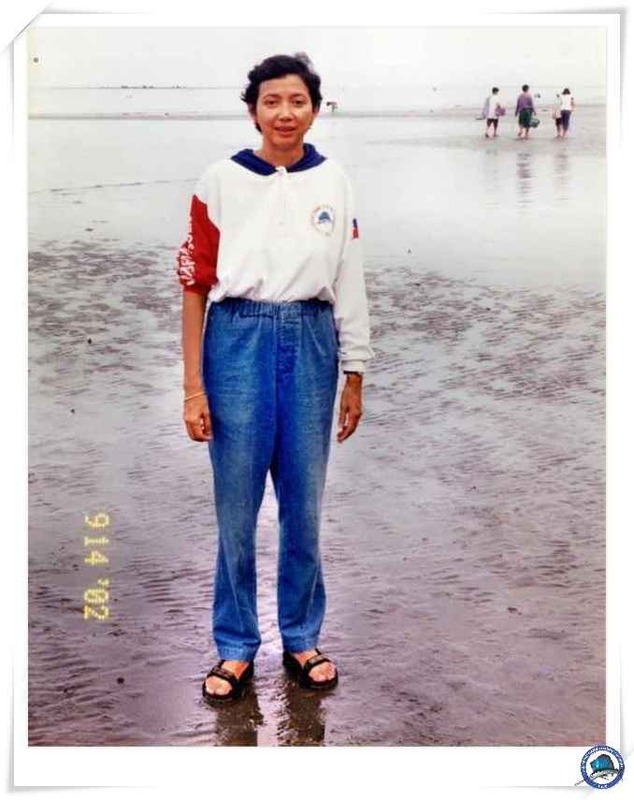 Toda, 18.723; 10. 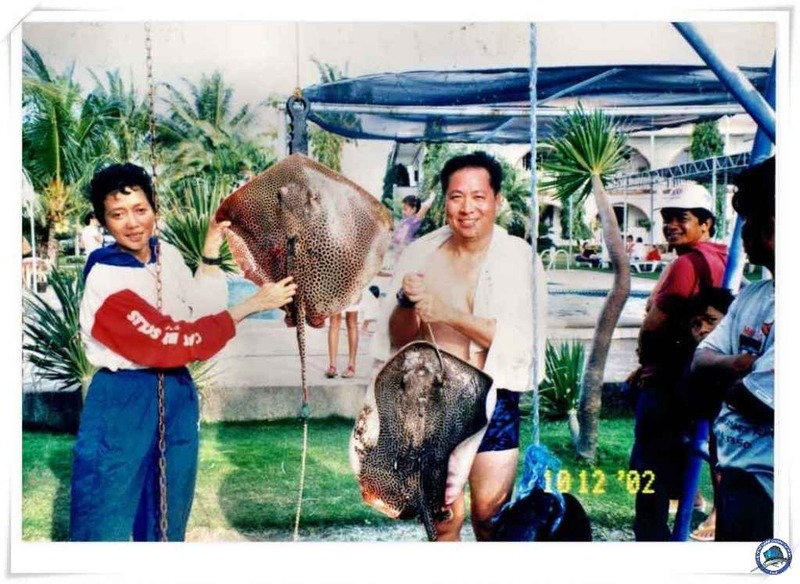 Efren Chua Yap, 18.182.